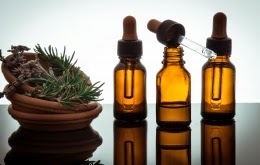 PhytoChemia's Blog: Aromatherapy: Is it easy to know if essential oils are safe ? Aromatherapy: Is it easy to know if essential oils are safe ? In the last few weeks, I saw many discussions on LinkedIn/Facebook groups about aromatherapy. Some people seem to be highly concerned by this subject and they want to know how to use essential oils safely. So, I asked myself what was my knowledge about this topic? First of all, I am NOT an aromatherapist and I did not follow a given number of hours of training to pretend that I know all about aromatherapy. Yet, as a trained chemist, I learned how to understand chemical data, research results and toxicological data on a product. In this post, I will thus try to expose you facts, results, examples, of what I consider to be important to know before using a product like essential oils. First, here are some definitions and a bit of history. 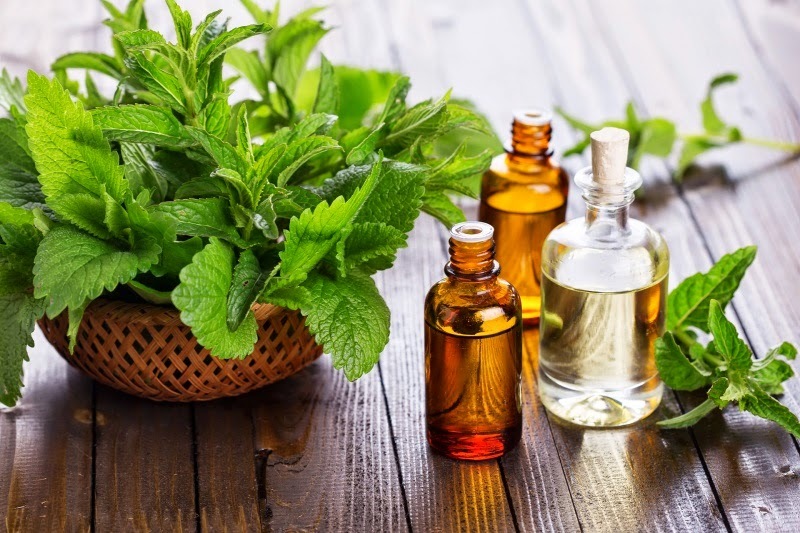 Aromatherapy is a discipline which can be defined as the use of essential oils extracted from herbs, flowers or other plant parts applied topically or taken orally, by inhalation or other way, on the human body to promote health, wellbeing, etc.[1,2]. This discipline is based on traditional practices of herbal medecine acquired many years ago by people from different countries (India, Egypt, China, etc.) . Modern aromatherapy was strongly influenced by a French chemist (René-Maurice Gattefossé) who wrote many articles on the subject in the early Thirties [2,3]. Since this time, many schools of thought have emerged and they teach different ways to use essential oils. Now, let us continue with an example. You have heard from a friend of a friend that the essential oil of German chamomile (Matricaria recutita L.) has a great anti-inflammatory effect on body and you want to try this product. First of all, if you can not see a health professional, you could do your own research to make up your mind on the subject. You have to find information about the toxicity of the oil and what kind of studies have been made on this product. I found a recent book (2014) that brings together all the toxicological information about a great quantity of essential oils : Essential oil safety - A guide for healthcare professionals by Robert Tisserand . Other pertinent information on essential oils such as drugs interaction for precise compounds, comments from the author, etc. Normally, with this kind of information you would be able to make a good choice, isn't it? I suppose that some readers just told themselves : I don't have background in chemistry or toxicology, so this book cannot really help me because I'm somewhat lost and have too much information to assimilate. It might be the case, but it is in your interest to learn a bit about these topics to make safer choices with these kind of products. Meditate a little bit on this question : why do we need healthcare professionals to prescribe medications/advices to people? Among others, it is because we do not know all the information on the toxicity, the interactions owith other drugs or other important facts on all medications. Natural products are, by all means, also mixtures of chemical compounds which might have adverse effects on the body. Do not hesitate to ask questions to trained health professional who are certified by university and have skills in pharmacology, chemistry, toxicology and human biology before you want to use a ''health product'' on yourself. It's not because it's natural that it's officially a safe product. *Additional information : According to many scientific papers, in the case of ingestion, essential oils often showed toxicity for humans. Many cases of contact dermatitis are also listed when essential oils are not diluted properly and used pure . **Definition of LD50 : «Lethal dose is the amount of a material, given all at once, which causes the death (acute oral) or effect (acute dermal) of 50% (one half) of a group of test animals » . The results presented above for German chamomille normally mean that the product is not highly toxic. In the cited research, they fed the rats (acute oral LD50) a large dose of 5g of essential oil by kg of body weight of the rat. If the rat weights 0,5 kg, the administered dose was 2,5 g, and more would have been needed to cause the death of 50 % of animals. (1) Cooke, B.; Ernst, E. Aromatherapy : a Systematic Review. British Journal of General Practice 2000, 50, 493–496. (2) Tisserand, R.; Young, R. Essential Oil Safety A Guide for Health Care Professionals; Second edd. ; Elsevier, Churchill Livingstone, 2014; p. 783. (3) Husnu Can Baser, K.; Buchbauer, G. Handbook of Essentials Oils - Science, Technology and Applications; Husnu Can Baser, K.; Buchbauer, G., Eds. ; CRC Press - Taylor and Francis Group., 2010; p. 994. (4) Gouvernement du Canada. Canadian Centre for Occupational Health and Safety (CCOHS) - What is a LD50 and LC50? http://www.ccohs.ca/oshanswers/chemicals/ld50.html. This is a very good post for many people in the essential oil MLM companies and of course those not understanding what essential oils are. There is so much incorrect information being given to people that is very damaging to our industry. Although MLM's claim to train the distributors they simply do not have anywhere near the understanding or knowledge of how to use essential oils correctly. Only a fully qualified Aromatherapist can give you the correct information and Roberts book is invaluable.